DIY Pest Solutions » Insect Control » Do Bug Zappers Work on Mosquitoes? Many people are wondering about the potential of bug zappers to deliver results in eliminating mosquitoes. The short answer is that bug zappers can actually work to deliver some results, but they are not as efficient as a propane mosquito trap which produces CO2 to attract the mosquito. This is why bug zappers come with a lower potential of killing mosquitoes. But at the same time, bug zappers do still attract, catch and kill mosquitos, just along with many other types of bugs and flying critters. Deciding on which insects and bugs you want to eliminate will dictate the devices which you will use. It will not work the other way around. This is why it will prove to be very important to decide if you are going to eliminate only mosquitoes or mosquitoes and other insects. If you are choosing to only eliminate mosquitoes, the decision is quite straightforward. This is the time when you will be choosing a device which works with C02 emissions. These devices are made for a proper approach to mimicking the human breath. This is where you may have the opportunity of choosing the proper device which is specifically made to kill mosquitoes. These devices can kill more than 90% of mosquitoes. Even more, since most mosquitoes hunting for blood proteins are females, these devices are made to kill the female mosquito population. Turning your mosquito-killing efforts to the maximum level will thus benefit the most from a mosquito trap or any other devices using C02 emissions. If you want to eliminate mosquitos but also other insects or even bugs, turning your efforts towards a dedicated solution for all of these problems might be the right way to go. The good news is that this will make everything possible and turning the efforts into a sustained process to kill all of your insects and bugs around the house is thus easier than ever before. This is where you will need to realize that working closely with the technology against working against it by choosing the wrong device will prove to be to your advantage. But these devices might also come with a slightly higher cost. On the other hand, it will clear most problems around your home as it will combine two essential technologies: the ultra-violet technology for bugs and insects and the C02 emission technologies for mosquitoes. It might also be a good opportunity to decide on the number of devices you want to use. Of course, larger indoor space will require larger devices while smaller rooms can benefit from compact devices. Even more, some technologies come with weather sealing which means they will work in a number of cases where many others simply won’t. This is, of course, the outdoor placement which can attract and kill insects and mosquitoes even before they enter your home. The best approach is straightforward for the typical user. You will get a device with C02 technologies and use it as a stand-alone solution. If you want to go further with large homes, you may even use a combination of outdoor bug zappers and indoor mosquito traps to tackle the entire problem as a whole. Working closely with two different devices will bring a major advantage to your home which most discussion topics fail to address. Since you want to avoid killing all the mosquitoes but being left with bugs and other insects, this is the perfect time to decide which space in your home or around your home you will try to clear of these issues. When you decide, you will be left with a situation where you will simply have to find the best location for both devices to produce the best results together. 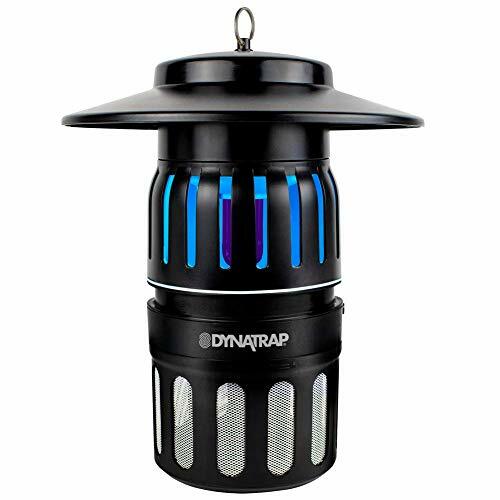 If your covered area is small and you decide to place the bug zapper and mosquito trap inside your home, then you can place them in the same location. There are also cordless options for outdoor areas without electricity outlets, such as the Stinger Bug Zapper. This way you will have a clear understanding of where and how the insects and mosquitoes move around your home. You can also try placing the mosquito trap in the bedroom since you will want to ensure a good nights’ sleep. Moving beyond this point, you will have the ability to install multiple devices. For example, if you have children you can place a mosquito trap in the area which leads to the kids’ bedroom. This is of course, by following the basic safety procedures which need to ensure the device will be away from the reach of children at all times. Finally, deciding on a small budget can also prove to be the right way to go when deciding on how to proceed with mosquito killing. Thus, if you have a limited budget, you can choose the path of skipping the bug zapper as it will only kill a small percentage of mosquitoes. On the other hand, with a minimum double investment, you can secure both devices with also include the mosquito trap. This is where you will be in the best position to tackle all the problems of insects, bugs, mosquitoes, flies etc. Bug zappers are simply not too efficient when it comes to killing mosquitoes. Some studies show that they can kill as little as 4% of the total number of mosquitoes in your home. It seems that most mosquitos are just not attracted by the ultra-violet light which equips these devices. This also means that you will not be able to see the best results with a bug zapper. Instead, you would need an alternative or complementary solution which would be based on a system which emits CO2. This is similar to the human breath emission and represents a very solid attraction for mosquitoes. Thus, the bug zapper might not be the best solution but at the same time, it doesn’t mean that it cannot work alongside a dedicated mosquito device to cover all the insects and bugs in your home.